By the 1980s, the coding or Automatically Programmed Tool universal language for CNC milling was developed and used. All movements of lever axis, tables, machine drills, and hand wheels are controlled by milling machines programmed with alphanumeric codes. However, thanks to analog and digital computers, the use of these machines has improved dramatically. With advances, the machines can now be programmed to perform basic and complex functions using design tools that are computer aided. 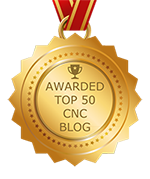 As imagined, the price of CNC milling machines is significant. For instance, a standard three-axis machine can easily run into the tens of thousands of dollars. For that reason, there are limitations as to who can afford to benefit from CNC milling. However, for companies that can afford these machines, there is also the expense of hiring a highly trained operator, someone with in-depth coding and computer knowledge. The number of axis is what makes machines different. For vertical movements, the machines run on X and Y axis whereas for vertical movements, they use Z axis. In addition to machines that run on two axis, some have three, which have the ability to create designs in 3D. Five-axe machines also exist with the extra axis used for horizontal movements. These machines are more sophisticated and capable of performing work with pinpoint precision and improved flexibility but they are very large and expensive. CNC milling machines offer numerous benefits. For instance, through coding, these machines can complete heavy manufacturing work automatically. Because of machine design, programmed code can be saved in batches, making it possible to use them repeatedly. As a result, there is a cost reduction that is passed down to the client.